Bariatric surgery is the most effective method of treating obesity today and can dramatically improve health, quality of life, and the day-to-day experience of regular activities. Most people who undergo bariatric surgery lose their unwanted weight and keep it off. They are healthier, more active, and need fewer medications than they did before weight loss surgery. In addition, bariatric surgery results in changes to patient’s diet and behaviour in relation to eating. The key to any sort of successful treatment of obesity lies in the patient’s diet and lifestyle. Gastric Bypass is the most widely performed bariatric procedure with excellent long term results. It generally leads to more rapid and sustainable weight loss than the sleeve gastrectomy and provides very good control of accompanying diseases like II type diabetes. Gastric Sleeve is an effective bariatric procedure. Estimated weight loss is almost as big as with gastric bypass but Sleeve is more “natural” as food continues to pass through all the parts of gastrointestinal tract. Mini-gastric bypass is particularly effective for patients with a higher BMI as the procedure has more predictable and durable weight loss outcomes compared with standard gastric bypass. Revision weight loss surgery refers to different bariatric procedures that are undertaken after any primary weight loss surgery. Even the bariatric surgery is the most effective method of treating obesity today sometimes there is a gap between surgical outcomes and patient’s expectations. Why the need for bariatric surgery? The regulation of body weight and metabolism is different in every person. The exact same lifestyle changes can have various results in different people. Some of those people lose weight as expected and some do not. Bariatric surgery helps to achieve weight loss in those people for who lifestyle (e.g. eating habits, physical activity, sleeping pattern) changes are not enough or gives only temporary results. Bariatric surgery gives patients a powerful tool to keep themselves on their chosen course. It is easy to lose weight – nearly all of us have done it. It is much more difficult and often impossible to keep the weight from returning (and we have all experienced this as well). Frequent dieting and body weight fluctuation (“yo-yo” dieting) can lower the basal metabolic rate, this is the number of calories your body uses to keep your body functioning at rest. Many of us are familiar with the situation where a diet, that helped us to lose 10 kilograms the first time, will result in much smaller weight loss the next time. The reason behind it is that your body is always trying to maintain its weight. During the “starvation period” it will adjust by slowing down basal metabolism, which means the body weight does not change even though the calorie intake is below normal. The surgery can help to reduce appetite and hunger because it changes the normal anatomy of the stomach and small intestine. This change can reduce the hunger hormone ghrelin secretion, alter the composition of gut bacteria in the colon and shift the communication between the intestine and the brain. All these mentioned mechanisms influence a person’s metabolism, eating behaviour and consequently the body weight. After the surgery there can be favourable changes in food preferences and the feeling of fullness will be achieved with smaller portions and thus fewer calories will be consumed. Bariatric surgery is not cosmetic surgery. The main purpose of bariatric surgery is to improve a person’s health and the overall quality of their life. 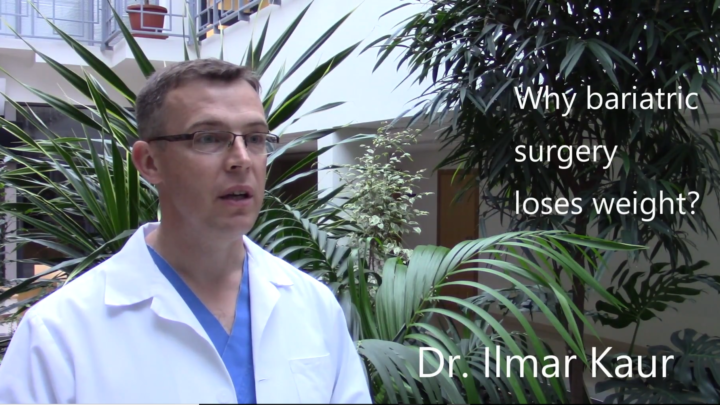 What are the results of bariatric surgery? Scientific studies show that with non-surgical methods, e.g. diet and physical exercise, the average long-term weight loss is 5-6% of initial body weight. When weight loss medication is added the weight loss can be 7-9%. Only one in seven patients manage to lose more than 10% and keep it off for more than one year. Bariatric surgery results in a major, permanent weight loss .The long-term weight loss with bariatric surgery is 25-30% of initial body weight. After the surgery, the immediate weight loss might be rapid. For example, during the first months after the surgery some men can lose up to -25 kg. The weight loss will start to slow down during the third or fourth month after the surgery. The lowest body weight is usually achieved around twelve months following the surgery. By this time most of the patients have lost 75-80% of their excess weight. After the weight is stabilized it is normal and excepted that most patients will gain 5-10% weight back at some point. *As with all medical procedures, individual results and experiences may vary. How permanent is the weight loss from bariatric surgery? Long term weight loss success after the surgery requires changes in a person’s eating and exercise habits. However, after the bariatric surgery, it is easier to maintain these changes because the body accepts the new weight and will not fight against it. There have been several studies about the long-term outcomes of weight loss after bariatric surgery. One study, that reviewed 87 individual studies, showed that ten years after gastric bypass surgery patients still weighed 28% less than before surgery. Only 3.4% of the patients had gained back their initial weight within 10 years. Who is a candidate for bariatric surgery? Who should consider bariatric surgery? body mass index is between 30-35 kg/m2 and there is a diagnosis for obesity-related disease. Obesity-related diseases are type II diabetes, sleep apnoea, high blood pressure, high cholesterol levels, osteoarthritis, polycystic ovary syndrome (PCOS) etc. Surgical weight loss may improve all these conditions and reduce the risk of these diseases developing in the future. Why do people choose to do bariatric surgery? The main reasons people choose bariatric surgery are that they are repeatedly failed by diets, they want to alleviate existing obesity-related health problems and/or prevent these diseases occurring in the future. Surgical treatment is appropriate for people who need a bigger weight loss than 5-10 kg to improve their health and wellbeing. It is also important that the decision for the surgery has been made by the individual themselves. Obesity occurs equally among women and men. However, the ratio between women-men, who decides to have surgery is 75-25. Men who decide to have the surgery are usually older, more obese and have more obesity-related diseases than women who undergo the surgery. In this instance, it is important to know that obesity has more adverse effects on men’s health than on women’s health. Therefore, weight loss surgery has bigger positive results in men, for example, surgery reduces premature death risk. There are no risk-free surgeries. The surgical risk depends on a person’s age, body weight and overall health status. In bariatric surgery the risk of death due to surgical complications is 1:1000, in our clinic the risk is lower 1:2000. Complications can occur in 2-3% of patients. All these complications are readily treatable. The most common complication is bleeding after the surgery (probability 1%). Usually the bleeding resolves without any medical intervention, however on some occasion, a blood transfusion or another surgical procedure is required. Late side effects of bariatric surgery are dumping syndrome, heartburn, intolerance to certain foods, reduced absorption of vitamins and minerals. Most side effects are preventable when the nutritional recommendations and food supplement guidelines are followed. In the long-term health risks related to obesity are higher than the possible surgery complication risks. What types of bariatric surgeries are there? The two main methods are gastric sleeve and gastric bypass surgery. Other are mini-gastric bypass surgery, revisional surgery, gastric banding and gastric plication surgery. Why choose Bariatric Services for weight loss surgery? About 750 bariatric surgeries are performed in Estonia every year. Bariatric Services specializes exclusively in bariatric surgery offering a comprehensive approach with nutritional, exercise and psychological support. At Finland and Baltics region, we are the biggest bariatric surgery centre. Our surgeons Ilmar Kaur, MD and Priit Miidla, MD perform 300 bariatric surgeries every year. A large number of surgeries ensure that our surgical team maintains a high proficiency, enabling us to offer exceptional and safe surgical standard. 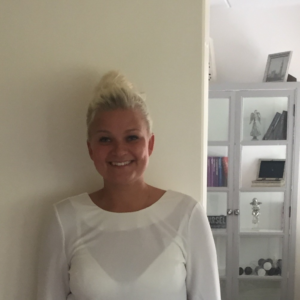 Life after bariatric surgery – what to expect? In addition to weight loss bariatric surgery bring positive change into overall health, eating habits and lifestyle. Our experience shows that patients’ physical activity level increases with weight loss. No matter what the reason is, either reduced joint pains, increased self-confidence and motivation or an overall inspired feeling of freedom and “lightness”, after surgery lifestyle will become more active and vital for most people. The nutritional recommendations after the surgery follow healthy eating guidelines. The diet needs to be balanced and varied with a focus on low-fat protein-rich foods. There is a widespread fear, that after the surgery only limited foods can be eaten. This fear is misleading, as various foods, flavours and culinary experiences will remain in the patient’s life after the surgery. Most people find that their taste preferences change as the sensitivity to taste and smell increases and for this reason, food choices can become healthier. It is strongly recommended that patients will take daily vitamin and mineral supplements to compensate for the reduced dietary intake and intestinal absorption of vitamin and minerals after the surgery. Quality of life is improved in 97% of patients. The risk of cardiovascular diseases lowers. There is a 60% chance that blood pressure normalizes. There is an 80% chance that metabolic syndrome recedes. There is an 85% chance that sleep apnoea is relieved or resolved. Improved control of type II diabetes in all patients after the surgery. Many patients can reduce or stop taking their diabetes medication. Reduced depression rates in 55% of patients. There is a 60% chance that blood cholesterol levels normalize. With the gastric bypass procedure, the reflux (heartburn) disappears. There is 57% of chance that migraine is relieved or resolved. Non-alcoholic liver steatosis or fatty liver is improved or resolved in 90% of patients. Polycystic ovarian syndrome symptoms are reduced and the menstrual cycle will be more regular in 78% of patients. Increased fertility for men and women. In the case of female infertility, the probability of natural and medically assisted conception will increase. Back and joint problems will be alleviated.